Social Justice TED Talks: What Do You Do When Someone Doesn’t Like You? Wednesday, April 10th, 1:30 – 3 p.m.
“What Do You Do When Someone Just Doesn’t Like You?” — What do you do when someone just doesn’t like you? I mean really, really not like you. And you know it. What would you do? 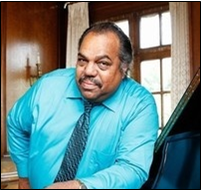 Daryl Davis is no stranger to this experience and has chosen a unique, and often viewed controversial, approach to such ponderings. Daryl endeavors to improve race relations and does not shy away from “reaching across the aisle” to members of the KKK. $3 members, $5 public. Advance registration appreciated.